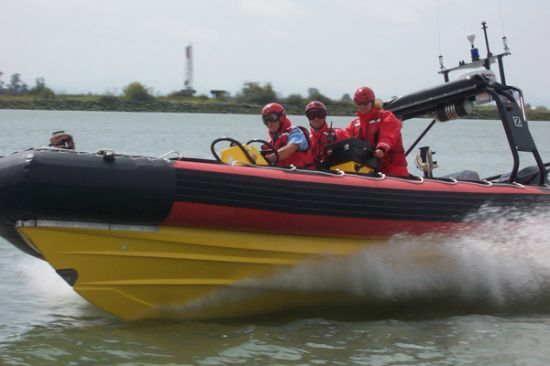 Some background here: Our CCGA unit frequently participates in Medivac type work on the coast - so we oftin have 2 EMS personell on Board - but our old Boat only had 3 seats total - which was, in all honesty, a bit unsafe when it was rough. The new vessel was designed with 5 seats - specifically for this reason, and it was nice to see how it worked. Even with 6 people on Board she had no trouble reaching 40kns - the throttles wern´t even wide open.